The Duchess of Cambridge greets Monique Girard and her six month old daughter Scarlett. Little Scarlett Girard didn’t need the red carpet for her first meeting with royalty. 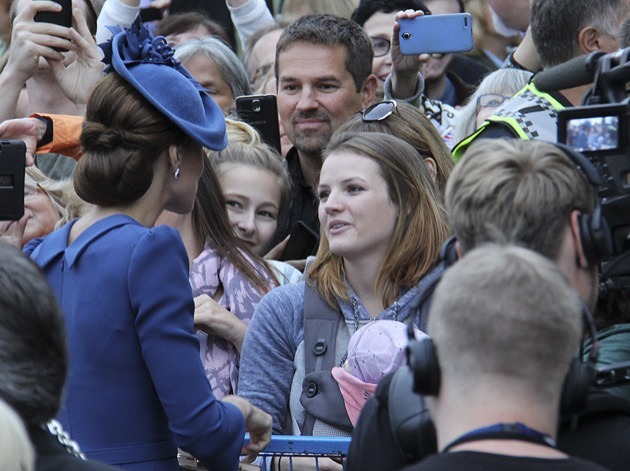 The six-month-old needed only her snuggly and mom’s warmth as Kate Middleton, the Duchess of Cambridge, rounded the path to an awaiting car after she and Prince William were officially welcomed to Canada, and her Brentwood Bay mom, Monique Girard, stood. 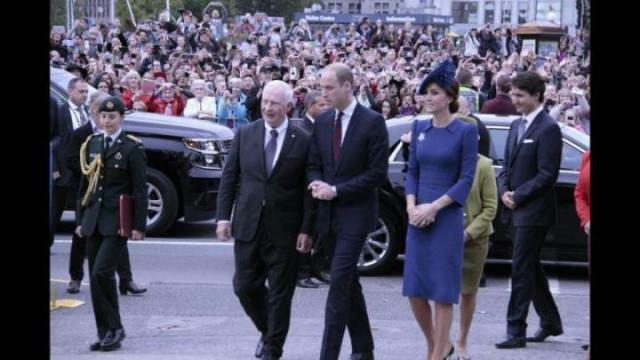 William, meanwhile, greeted enthusiastic guests at the end of their red carpet welcome at the BC Legislature that included a 21-gun salute, the breaking of His Royal Highness’s Canadian Standard, and an inspection of the Guard of Honour. Royal fans had filled the front rows of the seats along the red carpet on by noon on Saturday. Eileen McCormack of Seattle said she knew the moment a Canadian Royal Tour was announced she wanted to take the trip no matter where they went. 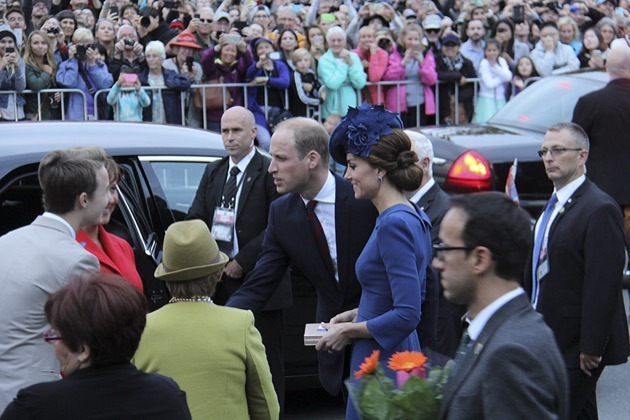 After the legislature event, the couple left for Government House, the family’s home base for the royal tour that will see them five communities in British Columbia – Victoria, Vancouver, Haida Gwai, Bella Bella, and Kelowna as well as two Whitehorse and Carcross, Yukon.